One of our greatest responsibilities is to offer unconditional support to our partner and our loved ones. 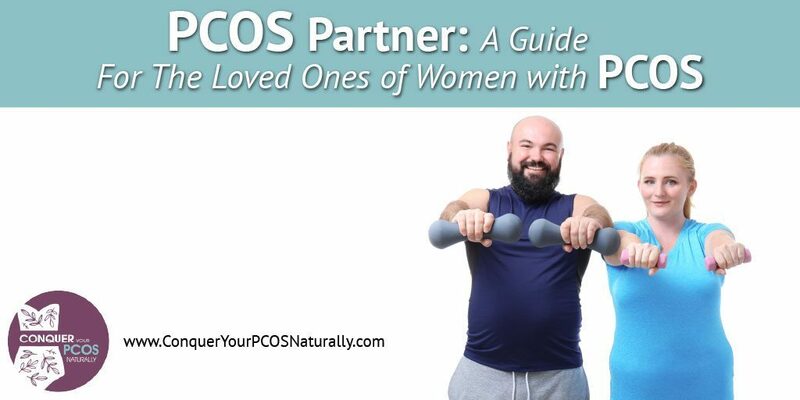 Whether you are a PCOS partner of a woman who has just been diagnosed with Polycystic Ovary Syndrome, or it has been a part of her life for a long time, you will be her teammate in facing and managing this condition on a day-to-day basis. Many women living with PCOS find themselves facing much more than just the physical effects of this syndrome. PCOS changes her body and leaves many women feeling de-feminised and unattractive. This can make it challenging to achieve and maintain feelings of confidence in a relationship. If she is a family member or a friend, your support is also crucial if she is to overcome PCOS. In this case, where I refer to her ‘partner’, I am also referring to other loved ones. To find out more about PCOS, read our article What Is PCOS? If your PCOS partner has been living with this syndrome for a long time, there’s a good chance that both of you already know a good deal about it. If she has just been diagnosed or has recently opened up to you about her condition, then you have a lot to learn. PCOS affects every woman differently and the key to understanding what your loved one is facing lies not only in knowing what her symptoms are but in knowing what causes them. This website is a great resource. Take the time to read it and educate yourself about what causes PCOS and the ways in which it can affect the body. Keep the address handy as a reference. When you and your partner need information or a way forward, refer to it. Consulting with a PCOS specialist is helpful. 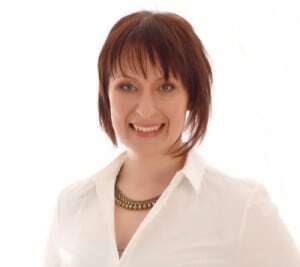 An expert who specialises in PCOS can provide valuable, focused information and insight that other practitioners may not be able to offer. 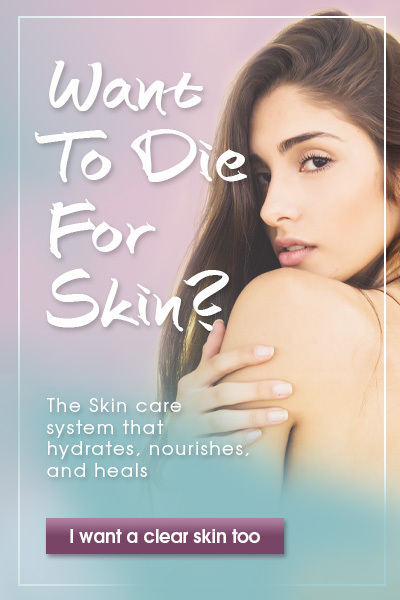 If your partner doesn’t already have one, seek out a local specialist who is knowledgeable about natural and alternative treatments, as opposed to one who uses pharmaceutical drug therapy. If you cannot locate a local specialist, consider making a trip to meet with one on occasion. Consult with a Naturopath or Nutritionist who will be able to offer advice tailored to your partner’s needs. Accompany her to see the specialist whenever possible. Play an active role during the appointments. Remember that, if you do not have PCOS and do not experience the symptoms for yourself, educating yourself about PCOS is vital to understand what your partner is going through. While you can collect books, consult with appropriate specialists, and gather the right information, your prime source of information will most likely be your partner. She may or may not know all the scientific details, but she lives with PCOS every day. While she is part of a group of women who share the common reality of living with Polycystic Ovary Syndrome, your partner is also an individual who lives with changes and thoughts unique to her. Understanding what living with PCOS means for her will help you be more supportive on a daily basis, and when she is feeling particularly challenged by her symptoms. 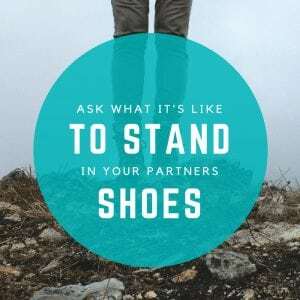 Has PCOS been a part of your partner’s life for years, or is it something she is just discovering? 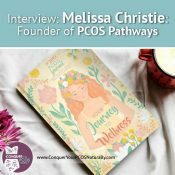 A recently diagnosed woman is likely to be faced suddenly with all sorts of feelings and questions, starting with what exactly PCOS is, why she has it, and what she needs to do from now on. She may feel distraught over discovering that she has a syndrome which can affect her hormones and her body so dramatically, or she may feel relief at finally having an answer. Much of the information available − and there is not a lot in mainstream channels − is incomplete or simply inaccurate. Someone who has been living with PCOS for years will have been through the initial challenges, and hopefully has made some major adjustments to her lifestyle. However, she may feel hopeless after years of unsuccessfully trying to find a way forward. What are her unique symptoms? There are tell-tale signs and symptoms of PCOS, such as increased ‘male’ hormone, causing acne, excessive hair growth or male pattern balding, through to obesity and/or absent periods. Some women with PCOS have more severe health challenges than others, while other women experience milder symptoms. What you can see, however, may not be the same as what she feels. Know what symptoms your partner has, how severe they are for her, and how long she has lived with them. She has probably been living with the symptoms since before she was diagnosed and her symptoms may have developed or changed over time. Know exactly which ones she deals with, and how they make her feel. What challenges has she faced? Find out what specific challenges she must handle. Does she experience a lot of physically painful symptoms? Does she struggle with her weight? Is she uncomfortable with her body? Know what challenges she has faced in the past, know what challenges she faces in the present and know that new challenges may arise in the future. If you define those challenges you need to overcome together, you can find a way forward as a couple. You will also have ideas on the specific challenges that need to be addressed. How has she managed PCOS thus far? 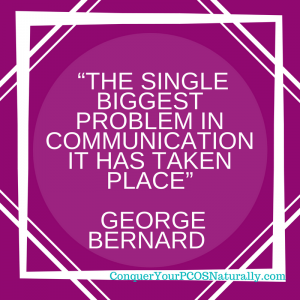 Some women have made many positive changes in their lives after being diagnosed, but a great percentage − in my clinical experience and from the emails I receive − have been unable to find the right answers to manage their PCOS well. Have her tell you what she does, what she knows works and what doesn’t. Know if she has specific eating habits, a specific workout routine, if she relies heavily on pharmacotherapy and how many lifestyle changes she has made in order to conquer her PCOS. If she still faces challenges, or if PCOS is new for her, then now is a good time for both of you to come up with a plan for managing, and eventually conquering, her Polycystic Ovary Syndrome together. No matter how long PCOS has been part of your partner’s life, now is as good a time as any to evaluate − or re-evaluate − her approach to it. Educate and re-educate yourselves as necessary. Examine what point she is at, define any challenges, examine your approaches and decide together what needs to change. As with any relationship, you and your partner should work as a team and commit to facing your challenges together. This includes facing PCOS. Life throws us all sorts of challenges, and PCOS will come with challenges of its own. Be prepared − and dedicated − to work things through. 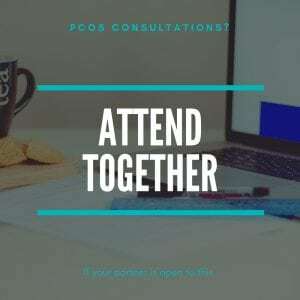 Take on an active role in the management of your partner’s PCOS − beyond awareness of the disorder, visits to healthcare professionals and decisionmaking. If you are willing to make changes to your own lifestyle, it could make a big difference in how successfully she commits to managing her condition. 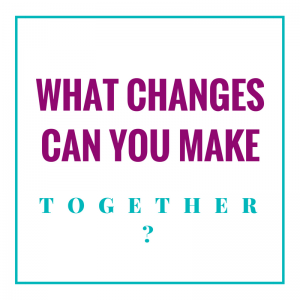 Making these changes together will also solidify your partnership. Everyone has different needs and expectations from their partner. You should discuss and be aware of what your partner needs, specifically, to help her on her journey. Living with any chronic health challenge can be an alienating or isolating experience. Whether you are male or female, let your partner know that she is not alone. Express, and show her, your support. Make a genuine effort to understand her needs. PCOS causes hormonal imbalances which can affect her emotions. 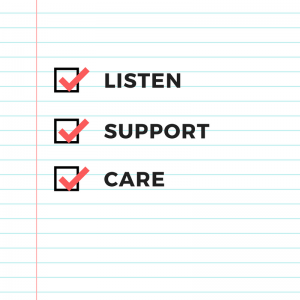 As PCOS partner, being supportive through the emotionally challenging periods can help ease the stress associated with these times. Offering emotional support while she’s facing a challenging period is important. Let her know that you are there for her and that you want to help her work through her feelings. Women with PCOS are more likely to suffer from depression, anxiety, and low self-esteem. Due to the upsetting nature of some of the signs and symptoms, she may also not be upfront about how she is feeling. She may know she is feeling irrational, but at the same time be unable − or too embarrassed − to express the reasons for her emotional state. Be patient. TIP: Do not invalidate her feelings, or assume if she is upset, it must just be her ‘PCOS talking’. Making lifestyle changes can be difficult for anyone. Making the lifelong lifestyle changes vital to the maintenance of good health and overcoming PCOS can be extremely daunting. Your motivation and encouragement are often just as important as her dedication to maintaining healthy habits. 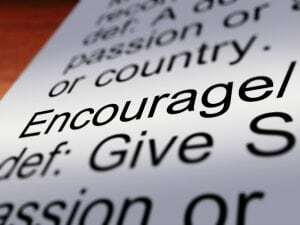 Be encouraging on a day-to-day basis – encourage her to take the steps to improve her health and overcome her PCOS − no matter what hardships she is facing. Regardless of the severity of her PCOS, speaking with a nutritional specialist (i.e. 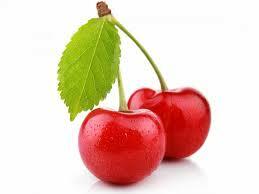 a Naturopath, or a Nutritionist) and improving her food plan is essential in overcoming PCOS. Be aware of which foods to avoid, and which foods are beneficial. Stock the pantry and refrigerator accordingly. Nutrition plays a huge role in conquering PCOS. 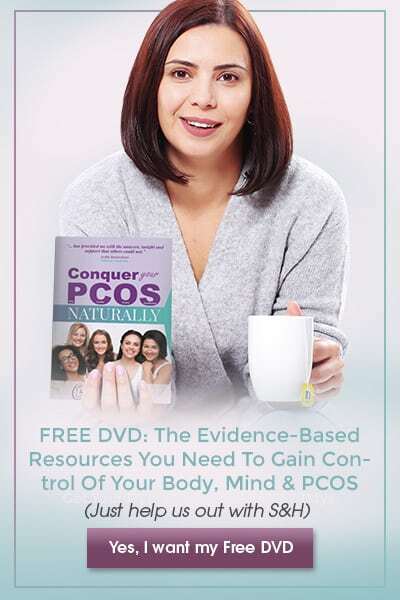 You can download a complimentary copy of my PCOS friendly recipe book, Conquer Your PCOS – 50+ Recipes. and The PCOS Fact Sheet here. Communication is the key to all relationships. 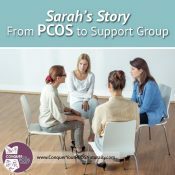 Communicating as a PCOS partner is important (and it’s also crucial you share how you feel too). You may not always be able to recognise how she’s feeling. Ask her, and ask her to let you know when she needs to talk. You do not want PCOS to become the focus of your lives together, but be aware when she’s experiencing any challenges. Discuss how you both feel about the changes being implemented to improve her PCOS − and your lives. If she thinks that it’s time to try a new approach, then hear her out, decide together on a way forward, and take action accordingly. Your partner is at greater risk for obesity, diabetes and heart disease than women living without PCOS. Both of you need to eat the right foods, in the correct proportions for your weights, activity levels, and individual nutritional needs. 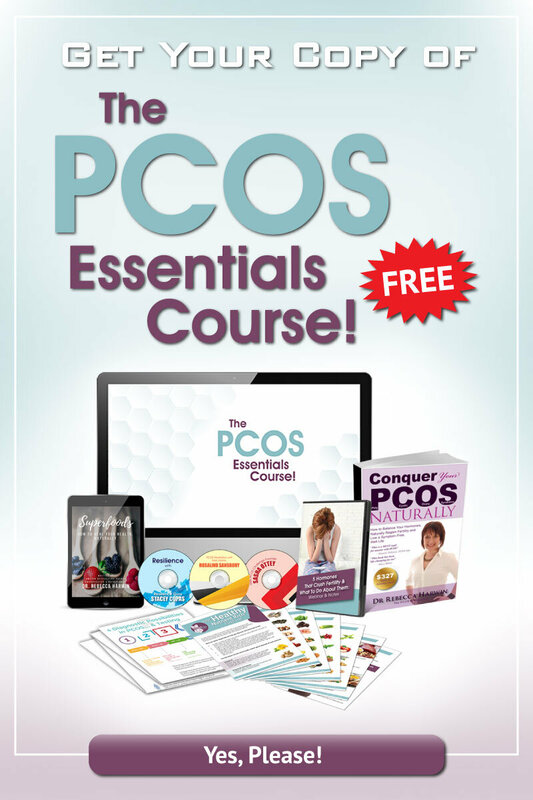 This is one very important area where a collaborative effort will make a huge difference in overcoming her PCOS and achieving real health for both of you. The ideal food plan for your partner is also the ideal food plan for you. If you both implement and enjoy the foods recommended in this book, you will keep each other on track and both improve your health. Certain foods can be extremely detrimental to your partner’s health, especially in excess, so prevent temptation by keeping those foods out of the house, and encourage each other to eat healthy portions. Find some healthy alternatives to your favourite treats that the two of you can enjoy. Do not encourage her to starve herself. A very low-calorie diet is damaging to artery walls. 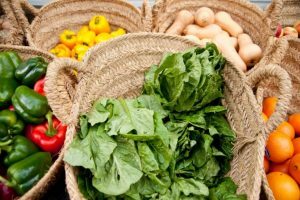 Plus, if she does not receive the nutrients needed, she will not improve her health, lose weight, or overcome her PCOS. Eating five smaller meals daily (breakfast, lunch, dinner and two snacks) can help keep her body in balance, her energy levels stable and contributes to a good mood. Physical activity has a huge impact on health. Movement − or lack thereof − also affects how your partner’s PCOS manifests. Incorporating additional activity can really improve her quality of life. Contributing to overall well-being, decreased cravings, improved insulin sensitivity, balanced bathroom scales and reduced depression, are just some benefits to a more active life. When you exercise as a team, you will both benefit. When one of you doesn’t feel like exercising, the other can be the motivating partner. You will both feel better once you introduce additional physical activity into your lifestyle. Exercise will help to control obesity, and obesity and PCOS often go hand-in-hand. Cardiovascular exercise strengthens the heart, which is extremely beneficial to a woman with PCOS. Strength training is something many women approach with caution, but it really is a valuable addition to the fitness program of a woman with PCOS. Strength training does not need to have the same effect as body-building. Lean muscle burns fat, which helps fight obesity even when not exercising. As with cardio, start with low weights and work your way up as you become stronger. Remember to warm up, cool down and stretch every session. Stretching regularly will help your body to recover from exercise and improve your overall well-being. Also remember that exercising doesn’t have to take place in a gym. Consider all the activities that you both enjoy, and any incidental activity you can incorporate, and you might be surprised at how active your lifestyle can become. If neither one of you is accustomed to exercising, start at a level you are comfortable with and slowly build to more strenuous routines. Support each other − regardless of what level each of you is at − and encourage each other to improve. As your fitness improves, push yourself. If you do not feel comfortable exercising without the guidance of a professional, or you want to get greater results, seek out a personal trainer. Be sure that you discuss your current fitness levels and where you can safely start. You may need to be under your physician’s care. You are who you hang out with. Pursuing a healthy lifestyle together is about more than just mutual support. People influence each other, and we have a tendency to become more like the people we spend time with. If you and your partner are committed to one another, each of your being healthy will encourage and motivate the other to do the same. Eating well and exercising together gives you both a common goal to strive towards. You’ll be helping yourselves just as much as you’ll be helping each other. This is a great opportunity to turn a health challenge into something positive. The ability to conceive is a serious concern for many women who live with PCOS – whether through natural or assisted means. Irregular, or absent, menstruation and ovulation often occur as a result of the hormonal imbalances common in this syndrome. If you both are ready for a family and are having trouble conceiving, there are a number of options available. 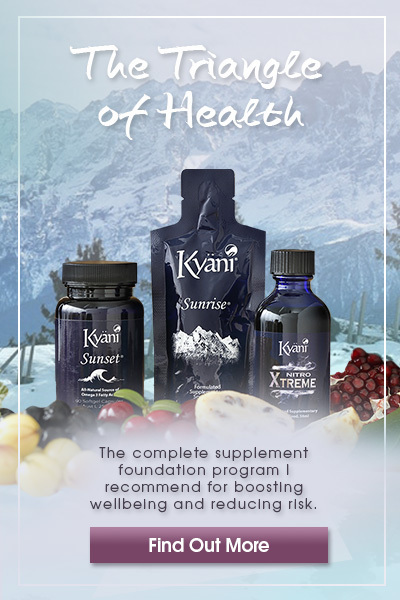 Losing weight − where needed − tends to drastically improve a woman’s ability to conceive. Maintaining a healthy lifestyle, addressing stress and consuming ‘the right foods’ are great for improving fertility. If, after trying everything else, you need to use assisted fertility techniques, the advantage is the changes you both have made together will improve the chances of these techniques succeeding. Remember also, it takes two to tango. Do not assume as your partner has PCOS, your fertility as a couple is all about her. If you are a heterosexual couple, read the bonus special report ‘Crush Male Infertility – How To Put The Lead In His Pencil And Improve The Quality Of His Lead’ that comes with my bestselling book, Conquer Your PCOS Naturally. Facing Polycystic Ovary Syndrome with your partner begins with adjusting your lifestyle together. Some environments are more conducive to maintaining an ideal lifestyle than others. Keep this in mind as you and your partner plan your future. Set several short-term goals to get your lives moving down the right track. Seeing these through will allow the adjustments you make to your life together to become sustainable lifestyle choices. Think about what you want in your future together, and determine what it will take to ensure that the two of you achieve your goals together. Remember that you are a team and that your relationship is a two-way street. 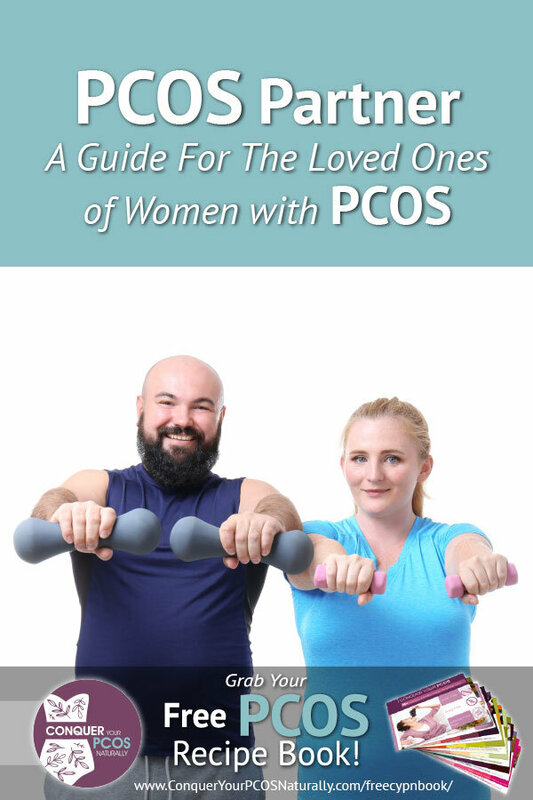 As a woman living with PCOS, your partner will have several unique needs. She may rely on you to either provide direct help or to support her through this process. Let yourself be empowered by the support that you provide her and let your unity enrich your relationship. 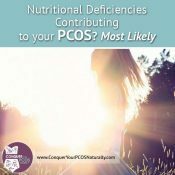 Nutritional Deficiencies Contributing To Your PCOS? Most Likely.